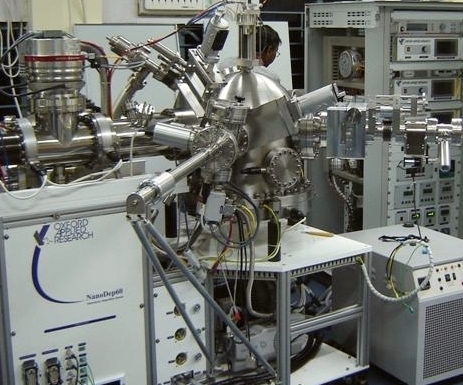 This deposition facility has been procured under a sub-project entitled "Low Energy Nanocluster Ion beam facility for novel film deposition and characterization" in the 11th Plan period of India under the project Center for Nanoscience and Surface Physics (CENSUP) of SINP. 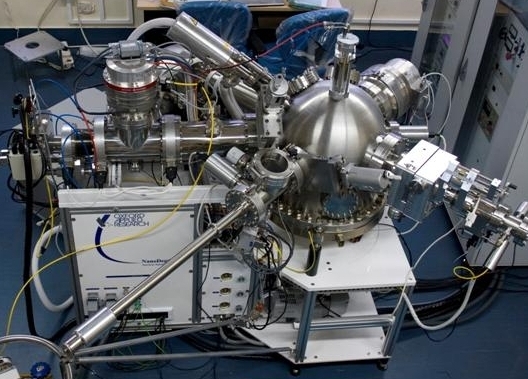 The whole set-up is a unique facility in combination of nanocluster film deposition unit (Model: Nanodep60) attached with in-situ X-ray Photoelectron Spectroscopy (XPS) facility. The nanocluster source can produce well-defined beam of nanocrystalline particles in the gas condensation method. A magnetron is used to sputter the desired material in a cooled (by liquid nitrogen) aggregation region in presence of a buffer gas. Nanoclusters of metallic, semiconductor and insulator target (with RF-mode operation) can be produced and then the mass- or size-selected clusters are obtained by using a quadrupole mass filter. 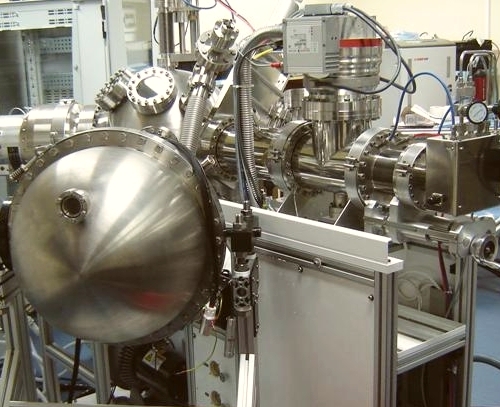 The UHV end station is equipped with a number of growth and characterization facilities. Beam energy: 100 eV to 1 keV, Beam current: ~ 40 mA at 1 keV for Ar-ions. This ion gun is used to clean the sample surface and to etch the surface for XPS depth profiling. Water-cooled quartz crystal monitor (movable) with controller.